A quick #maskotd ! See, this is why the Innisfree ones are taking forever. I just get sidetracked by other brands all the time. I’ve been holding on to this for forever. I only have one pc cause I got the trial box and I finally tried it! 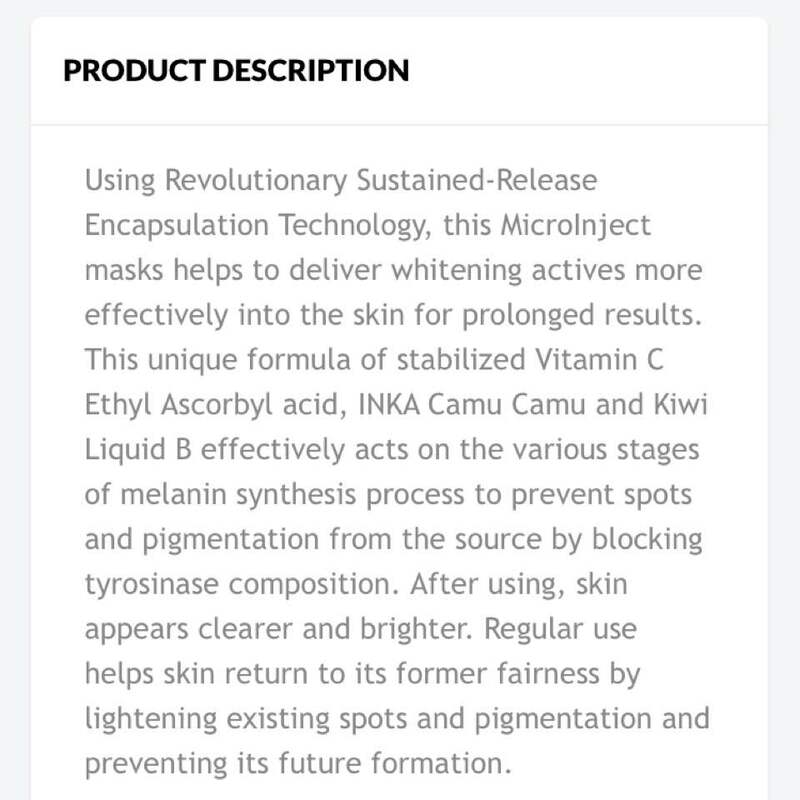 Product description from the site! I was trying to find the actual ingredients in it but it was really not available???? Maybe I gave up too quickly lol. Anyw....sheet masks’ ingredients don’t really bother me too much just cause it’s not really long term use?? I normally finish with a regular moisturizer after sheet masking and I found that this isn’t as hydrating as I hoped it would be. So that’s the only downside in my opinion! It’s probably due to the alcohol content - the smell of alcohol when I opened this up was like zomg what on earth but it dissipated really quickly lah. That’s why I’m trying to find the ingredient list leh! Maybe I’ll try again later.